Nikon, a pioneer in imaging technology and camera equipment, has announced the launch of its first-ever full-frame mirrorless Z cameras in Bahrain with two new models - Z6 and Z7. Developed to perfection for capturing striking sharp images with brilliant clarity, Nikon Z7 and Z6 with their complete silent operation, are an absolute delight for photographers, said senior company officials while speaking at the launch held at Cineco in Oasis Mall, Juffair. Nikon Z series saw much fanfare and uproar celebrating the finest engineering in the photography landscape, they added. 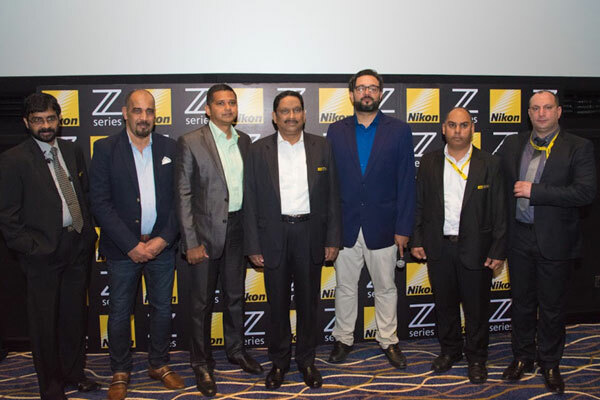 Narendra Menon, the managing director, Nikon Middle East, said: "The Z series has been designed to merge innovation, creativity, and ease of operation together to provide photographers and videographers with a delightful experience." "We want to create devices that adheres to a photographers/videographer’s requirements and act as allies that works with them. Z series is all about offering best of imaging and camera technology," he noted. "The owners of Z series will have an added advantage with the Nikon Premier Member program (NPM), where they will be rewarded with a chance to explore the excellent optical output facilitated by the entire Z series through a hands-on experience like no other," added Menon. Marlo Espolong, a renowned videographer and key note speaker at the launch event, said: "The Z series range is commendable from usage perspective to end results. The cameras are light weight, portable, durable, versatile and offers an exceptional image quality of videos as well as stills." "As a cinematographer, I need to capture the moments quick and always travelling with numerous equipment’s and it is crucial for me to have a camera that fits as per my requirements perfectly. The Nikon Z range is reliable and ticks off all those check boxes for me, making it the videographer’s choice," stated Espolong. The Nikon Z series launch concluded with the screening and announcement of shortlisted winners of Kochi Metro- Bahrain Short Film Festival (KMBSFF) that started earlier this year. Nikon has officially partnered with this project to promote and appreciate the art of film making in the region.